El Campo Santo Cemetery, aka Old Town Cemetery, is believed to be haunted by the spirit of a gravedigger who was himself buried at the cemetery’s southeast corner. Also, apparitions have been seen crossing the section of road that was paved over a portion of the cemetery. It was going to be an hour before my tour started at the Whaley House so I decided to investigate the El Campo Santo Cemetery which is down the street. It is treated more as a tourist site than a graveyard. I used a spirit box to try to communicate with the spirits, and most of the responses were in Spanish. 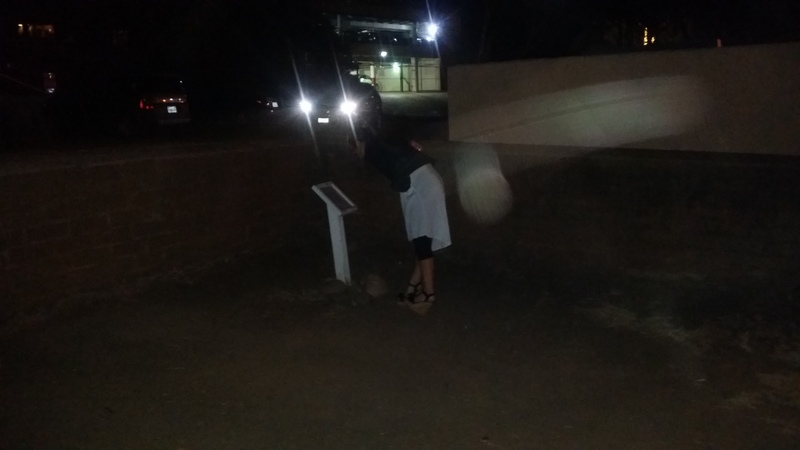 I was able to capture a photo of orbs next to the gravedigger’s plot. Christopher, that’s a different cemetery. Hacienda Heights is in L.A. County, not San Diego County. William Workman committed suicide in his home here. Temple’s wife also died in La Casa Nueva from small pox i believe it was that killed her.